Treat yourself this month! 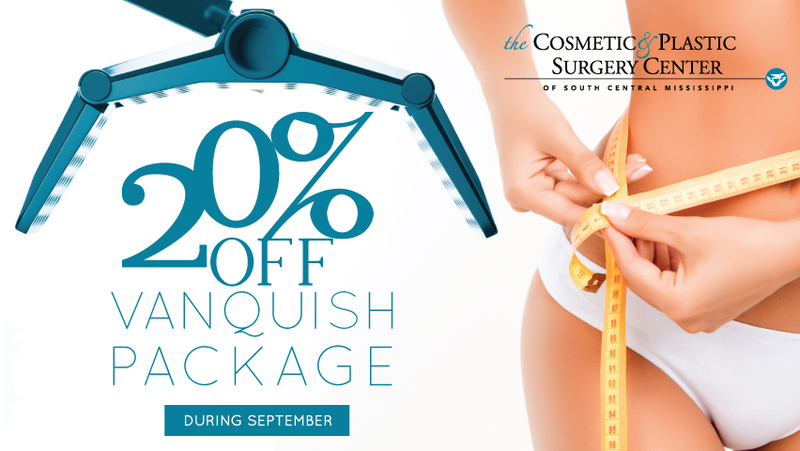 The Cosmetic and Plastic Surgery Center of Laurel is offering Vanquish, a package of 4 treatments, for $1,600 (a $2,000 value) and Kybella, a package of 3 treatments, for $1,600 (a $3,000 value). 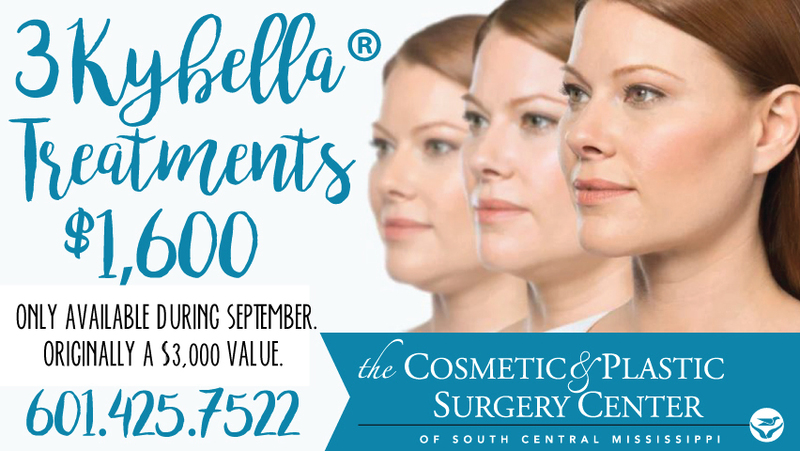 To take advantage of these specials, please call 601-425-7522 or visit the Cosmetic and Plastic Surgery Center at 1410 Jefferson Street in Laurel.